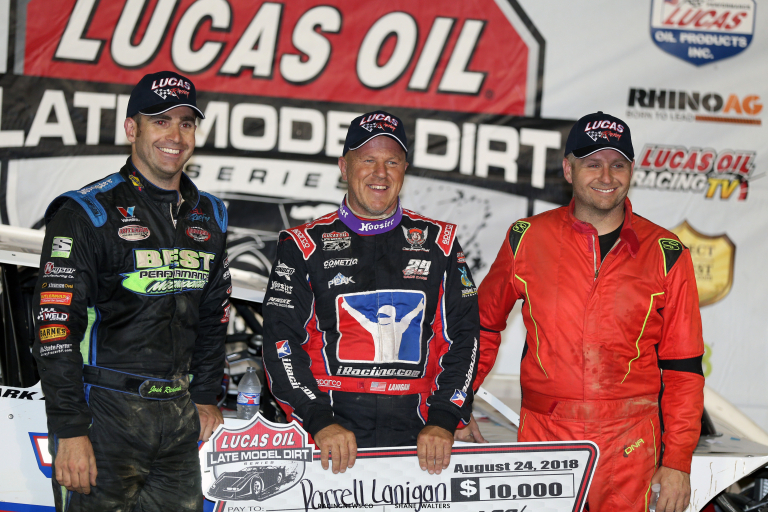 Lanigan’s impact on dirt Late Model racing and accomplishments behind the wheel are well known: 2003 Dirt Late Model Dream winner, 2012 USA Nationals winner, 2014 Firecracker 100 winner, second on the all-time Series win list, and a fan base that will surely be happy to see him back competing full-time with the Outlaws. Since Lanigan was last with the Outlaws, many new Series regulars have come and gone. The meteoric rise of Rocket Chassis house car pilot Brandon Sheppard came in the 2017 season, when Sheppard dominated and surpassed Lanigan’s second-highest single-season wins record in his first full-time year on the tour. 2019 will see the likes of five-time WISSOTA Late Models Champion Ricky Weiss and recent Wild West Shootout winner Cade Dillard competing for the Rookie of the Year title. Lanigan agreed they all might make things a little tougher, but he’s always up to the challenge. As the roster rounds out, stay tuned to each of our social channels for all of the updates. The Winter Freeze IX at Screven Motor Speedway kicks off the season on Feb. 8-9 in Sylvania, GA. The Series then heads to the 48th annual DIRTcar Nationals at Volusia Speedway Park in Barberville, FL, for a four-race stretch, Feb. 13-16.